Think diabetes can stop you from becoming a pro-football player? Think again. Jay Cutler is one of many professional athletes who is proving that even though diabetes is a game-changer, it's not the end-game. Cutler had an exceptional track record before receiving his T1D diagnosis. He led his Vanderbilt University team past the University of Tennessee for a 28–24 win in their 2005 season, the first since 1982, in addition to being one of the Commodores' greatest offensive players of all time. As the third-best quarterback in the 2006 NFL draft, Cutler was picked up by the Denver Broncos — he was at the top of his game. But in 2007, while with the Broncos, he experienced significant, unexplained weight loss and reported feelings of fatigue in the 2007 season. In April of 2008, at age 25, Jay Cutler received a type one diabetes diagnosis. "I was aware I was having an issue one time last year against Kansas City. It was early in the game, first or second series, and I just didn't feel right—I felt out of it a little, shaky." What does a NFL quarterback do when given a T1D diagnosis? 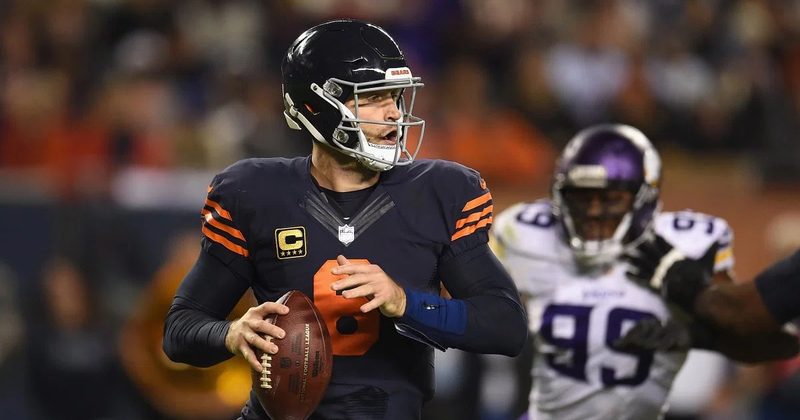 “I went the whole summer just kind of dealing with it and figuring it out, test driving insulins to see what worked, what didn't work, what my numbers were,” Cutler told ESPN. Jay had to adjust quickly to blood sugar testing. How does a newly diagnosed T1D maintain diabetes while playing a NFL game? "I try to enter the game in the 80s knowing that when the game starts and adrenaline kicks in that I will jump up 20 to 30 points. Throughout the game I monitor & check my sugars periodically to make sure I'm still in a healthy range.” Despite this major life change, Cutler was named player of the month and top passer in the AFC during his 2008 season, and went on to play with the Bears for eight more seasons after diagnosis. "You can live with diabetes and still live the way you want." Since his Bronco days and diagnosis, Cutler has gone on to play for the Chicago Bears, swapped out his NFL jersey for a FOX Sports anchor position, and, most recently, signed on as the Miami Dolphins' quarterback (as of August 2017). This pro-footballer proves time and again that diabetes is no obstacle he can't tackle. "I want to be hands-on and make a difference. I think I got this for a reason." What are his secrets? Cutler attributes much of his diabadass success to diet, exercise, constant blood sugar checks and being proactive. He's lowered his sweet intake (unless, of course, he's low - then he'll opt for a Snickers or Milky Way), and limits carbohydrates, choosing healthy proteins, fats, and vegetables instead. Whether on or off the field, Jay Cutler continues to score big with his diabetes and we can't wait to see how he conquers it this season with the Miami Dolphins!